Recording Industry vs The People: How the RIAA Litigation Process Works. How the RIAA Litigation Process Works. Note: For a printer-ready, permanent link to this piece, updated periodically, use http://beckermanlegal.com/howriaa.htm. Unless otherwise indicated, all case documents may be found in Index of Litigation Documents. We are aware of one instance in which a Magistrate Judge sua sponte rejected the application because there was no basis for its ex parte character. In Capital v. Does 1-16 in the District of New Mexico, Magistrate Judge Lorenzo F. Garcia directed the RIAA to confer with the University of New Mexico with a view towards establishing a procedure to give all affected parties prior notice and an opportunity to be heard in connection with the motion. And we are aware of another instance in which the application was rejected on its merits, based on the Court's observation that there was no legal basis for the discovery at all. In Interscope v. Does 1-7, an ex parte proceeding in the Eastern District of Virginia, in Newport News, Virginia, in a 5-page decision by Judge Walter D. Kelley, Jr., the Court denied the RIAA's ex parte motion for an order granting discovery into the identities of students at the College of William & Mary. In what we suppose was a "testing of the waters", the RIAA went into federal court in Denver -- where its lawyers are based -- and made an ex parte application to have the Court dispense with the need for any court order at all; the Magistrate to whom the application had been assigned declined to rule on that request, but did give the RIAA the ex parte discovery order it had sought. College version of the ex parte discovery procedure. The RIAA's campaign against college students, announced in March, 2007, has led to a spate of similar ex parte proceedings against colleges and universities as ISP's. As noted above, the proceeding against College of William & Mary students in Virginia (Interscope v. Does 1-7) was dismissed in its entirety, the Judge observing that there was no legal basis for the RIAA's application, and the motion against University of New Mexico students, in Capitol v. Does 1-16, was denied on the ground that there was no lawful rationale for proceeding ex parte, rather than on notice to (a) the students, and (b) the university. As noted below, the 'college edition' of the RIAA's "ex parte" campaign is running into resistance, as motions to vacate the ex parte orders are proliferating. As of this writing we are aware of seven. "John Doe" students have launched attacks on the process in Boston in Arista v. Does 1-21, in Oklahoma in Arista v. Does 1-11, in Florida in Interscope v. Does 1-40, and in Tennessee in Virgin v. Does 1-33. A motion was made in Raleigh, North Carolina, by a "John Doe" who is a student at North Carolina State University, in LaFace v. Does 1-38. The first challenge of which we are aware that has been made by a college or university itself, rather than by the affected students, is Arista v. Does 1-17, where the Oregon Attorney General has filed a motion to quash the RIAA's subpoena directed to the University of Oregon, seeking student identities. The motion argues that the RIAA's identification evidence is flawed, so that the University could not respond to the subpoena without either violating privacy laws by divulging private information about students who are not shown to have committed any copyright infringement, or by conducting an elaborate investigation on the RIAA's behalf. The motion papers further argue that the discovery which plaintiffs seek is not obtainable at all under the procedures employed by the RIAA to obtain it, citing Interscope v. Does 1-7, 494 F. Supp. 2d 388 (E.D. Va. 2007). The Oregon case has taken a most uncomfortable turn for the RIAA. Upon receipt of the RIAA's opposition papers, attempting to show the Court what evidence the RIAA had, the Oregon AG asked the Court for discovery into what appeared to be the use of illegal investigators (MediaSentry). The first challenge of which we are aware mounted by a university's law school legal clinic is Arista v. Does 1-27, in Portland, Maine, targeting University of Maine students. 2 undergrads are represented there by student attorneys working under the supervision of a law school professor at the Cumberland Legal Aid Clinic, joining the 8 University of Maine students fighting the RIAA who are represented by a private law firm. The ex parte discovery process is being challenged in the Boston University case, in Boston, Massachusetts, where a motion to quash and vacate has been made in Arista v. Does 1-21, on the grounds of insufficiency of the evidentiary showing. Notably, one of the expert witnesses who submitted a declaration in support of the students' motion, attacking the RIAA's evidentiary averments, was no less than the Chairman of the university's Computer Science Department. In the Oklahoma State University case, Arista v. Does 1-11, the students -- represented by the same attorney who obtained a $68,000-plus attorneys fee award against the RIAA in Capitol v. Foster -- submitted a lengthy, detailed, scathing declaration of a computer security and forensics expert who challenged most of the key elements in the RIAA's entire 'investigative' strategy. The OSU students also pointed out to the Court that the RIAA's joinder of eleven (11) John Does in a single case was in direct violation of the November 2004 order in Fonovisa v. Does 1-41. The motion was denied in all respects. In Tampa, Florida, in Interscope v. Does 1-40, the students have sought both to dismiss the case for improper joinder under the Fonovisa v. Does 1-41 case and other caselaw, and to quash the subpoena based on the absence of any sufficient showing that ex parte relief was warranted. Even without a challenge, as noted above, a Magistrate Judge in New Mexico recognized that there was no basis for moving ex parte, rather than on notice, and sua sponte denied the RIAA's application, in Capital v. Does 1-16. Magistrate Judge Garcia directed the RIAA to confer with the University of Mexico's lawyers to work out a plan for giving prior notice to the students named as "John Does". The ISP ex parte process was unsuccessfully challenged in 3 cases in Manhattan federal court in early 2006: Atlantic v. Does 1-25 before Judge Swain, Motown v. Does 1-99 before Judge Buchwald, and Warner v. Does 1-149, before Judge Owen, in which "John Doe" defendants represented by Ray Beckerman and Ty Rogers brought motions to (a) vacate the ex parte discovery order on the ground that it had not been supported by competent evidence of a prima facie copyright infringment case, (b) quash the subpoena on that ground plus the additional ground that the complaint fails to state a claim for relief, and (c) sever and dismiss as to all defendants other than John Doe #1. A new ex parte "John Doe" litigation tactic -- this one involving neither an ISP nor a college -- has surfaced in Chicago, Illinois, and in Fresno, California. The Fresno case, SONY v. Does 1-10, which is an outgrowth of the discontinued Sacramento case, SONY v. Merchant, is being challenged by some of its apparent targets. The RIAA has indicated an interest in commencing ex parte discovery proceedings against the family of Rae J Schwartz, the Queens woman suffering from MS who is being sued in Brooklyn in Elektra v. Schwartz. As noted above in "College version of the procedure", the RIAA's "John Doe" discovery procedures are under attack both by the college students, and by at least one university. A preliminary procedural question is whether the cases are "related", and therefore should all be assigned to the same judge. In the Southern District of New York these cases against unrelated defendants are not treated as related; in the Eastern District of New York they are treated as related, and every new case is assigned to the same District Judge/Magistrate Judge team. In Maverick v. Chowdhury and Elektra v. Torres the RIAA's designation of all its cases as related has been challenged by the defendants. In Atlantic v. Boggs, in Corpus Christi, Texas, it likewise refused to waive defendant's default, and moved for a default judgment based on defendant's alleged "nonappearance". The Court, in denying the RIAA's motion, reminded the RIAA that the defendant had in fact appeared. In Elektra v. Santangelo II, despite the fact that they had already entered into a discovery schedule with defendant's lawyer, they obtained a default judgment. The Court then vacated the default judgment. In August, 2007, a default judgment application was denied in Interscope v. Rodriguez, in San Diego, California, in a decision which may have far-reaching implications, since Judge Rudi M. Brewster held that the RIAA's complaint -- which was identical to the complaint it has used in all of its cases -- fails to state a claim for relief, consisting of no more than "conclusory" "boilerplate" "speculation". A similar default judgment application was denied two months later in Atlantic v. Dangler, in Rochester, New York, this time on evidentiary grounds. Judge David G. Larimer concluded -- based upon the RIAA"s evidentiary submission (no doubt identical to the submissions in thousands of other default judgment applications) -- that the RIAA's evidence failed to substantiate either that the defendant was in fact the file-sharer, or that the file-sharer had actually downloaded or distributed any files. In Atlantic v. Howell, a pro se litigant lost a summary judgment motion. However, he thereafter made a motion for "reconsideration" and won, getting the Court's initial order vacated. The most important things a pro se litigant should know about are as follows: (1) there is a pro se clerk in every federal court house; you should go in and see the pro se clerk for assistance in putting in your answer; (2) from the very outset you must make it clear that you are demanding a jury trial, and do not let anyone talk you out of demanding a jury trial; you must put a jury demand in your initial answer; (3) the RIAA's attempt to get your hard drive is invasive and improper, and you should not let it happen without safeguards; you should make a copy of the protecive order in SONY v. Arellanes and show it to the judge; (4) the RIAA does not necessarily have the right to take depositions of your family members, and you should ask the judge for protection from that; (5) if there are any children 18 or younger involved, or people otherwise unable to fend for themselves, you should ask the judge to appoint a guardian ad litem to protect them, as was done in Priority Records v. Brittany Chan and Elektra v. Schwartz, and you should try to get an order which provides that the RIAA has to pay for the guardian ad litem fees; and (6) even though you are pro se you can hire a lawyer to give you advice (this is a lot less expensive than having a lawyer represent you in court). There have been challenges to the sufficiency of the boilerplate complaint in the form of motions to dismiss complaint. A combination dismissal/summary judgment motion was made in Elektra v. Dennis in Jackson, Mississippi, but the RIAA sought to discontinue the case after receiving the motion. More recently, a motion to dismiss was made in Warner v. Cassin in Westchester, which is, as of this writing, pending.. In Elektra v. Barker in Manhattan, the motion was pending for 2 years, until it was finally decided on March 31, 2008. The RIAA had cited to the judge their victories in the other six (6) cases. In Barker, however, unlike in other cases, amicus curiae briefs had been submitted by the Electronic Frontier Foundation (EFF), the Computer & Communications Industry Association, and the Internet Industry Association, in support of Ms. Barker's motion, and by the MPAA in opposition to it. Additionally the American Association of Publishers requested permission to file such a brief, and the United States Department of Justice submitted a "Statement of Interest" taking issue with an argument made by the EFF. 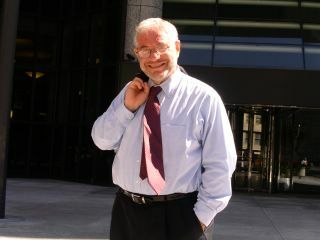 Briefing was completed in the spring of 2006, and oral argument was held by Judge Kenneth M. Karas on January 26, 2007. Judge Karas indicated at the oral argument that he would not "punt" on the "making available" argument, but would decide its validity. A transcript of the oral argument in Barker is available online. When it finally came down, the March 31, 2008, decision, rejected the RIAA's "making available" theory altogether, but nevertheless upheld the complaint, holding that the plaintiffs' pleading of actual distribution and actual downloading were sufficient. The Court also suggested a different theory -- one not hitherto suggested by the RIAA lawyers or by the evidence -- that the plaintiffs might use, of "offering to distribute for purposes of further distribution", and gave them leave to replead if they chose to do so. The decision is completely silent as to what plaintiffs would have to prove in order to establish such an "offer". In the opinion of William Patry, author of the Patry on Copyright treatise, (and in the opinion of the undersigned), Judge Karas erred in equating "publication" with "distribution". It appeared to the undersigned that Judge Karas erred in delving into the legislative history of the 1976 Act in order to determine what a distribution is, while the statute -- 17 USC 106(3) -- is unambiguous and required no such analysis. Meanwhile, the thunder which Elektra v. Barker might have caused was muffled by two (2) other important decisions likewise rejecting the RIAA's "making available" theory, Atlantic v. Brennan and Arista v. Does 1-21 also called London-Sire v. Doe 1. The 9-page Brennan decision came down 6 weeks earlier. It was not a determination of a dismissal motion, but a decision rejecting an application for default judgment. Judge Janet Bond Arterton of the District of Connecticut repudiated the "making available" theory,on the ground that there cannot be a violation of the distribution right without an actual distribution, and that one of the components of a distribution is an actual dissemination of copies. The third decision repudiating the RIAA's "making available" theory was the 52-page decision of Judge Nancy Gertner of the District of Massachusetts on a motion to quash subpoena, in Arista v. Does 1-21, which in dictum rejected the "making available" theory and noted that there cannot be a violation of the distribution right without an actual distribution, and that a mere "offer" to distribute is insufficient. In Interscope v. Rodriguez, noted above, in the context of an application for default judgment the Judge sua sponte dismissed the RIAA's standard complaint for failure to state a claim. Interestingly, when the RIAA filed an amended complaint six days later, the "making available" allegation was nowhere to be found. We are advised that new complaints being filed by the RIAA have jettisoned the "making available" altogether. If that is the case it is altogether possible that "making available" may die with a whimper rather than a bang. A motion to dismiss has been fully briefed in Warner v. Cassin in Westchester, and is awaiting argument or decision. In Elektra v. Perez, 2006 WL 3063493, in Oregon, a case which wasn't on our radar until we tripped across the October, 2006, decision on Westlaw, the judge denied a motion to dismiss, and appears to have resolved the "making available" argument in the RIAA's favor, but the procedural context was unusual: it was in response to the RIAA's motion to dismiss its own case. The court in Motown v. DePietro, in a footnote, likewise ruled that "making available" is actionable, but DePietro is a pro se case, and a reading of the footnote -- which relies on dictum from the 2001 Ninth Circuit decision in Napster -- suggests that the issue was not fully briefed to the Judge. Similarly in Atlantic v. Howell, another pro se case, the judge held that 'making available' is actionable, but likely without having received full briefing on the state of the law. The pro se defendant moved for reconsideration, reconsideration was granted, and the order vacated. As of this writing, a new summary judgment motion is being briefed. In Atlantic v. Serrano, a motion to dismiss complaint was denied. Interestingly, this was the same Court (Southern District of California) that dismissed the RIAA's complaint for failure to state a claim in Interscope v. Rodriguez. The Serrano decision, like the Santangelo decision, made no reference to the "making available" theory at all. Many affirmative defenses, too numerous to itemize here, have been interposed in these cases. Although the RIAA has been nothing if not militant in aggressively attacking counterclaims, even innocuous ones such as claims for a declaratory judgment of noninfringement or claims for attorneys fees under the Copyright Act (see Counterclaims below), it has not, to our knowledge, aggressively attacked affirmative defenses. The only case of which we are aware that has involved litigation over affirmative defenses is UMG v. Lindor. In Lindor, in the context of a motion for leave to amend the answer, the Court upheld both the legal sufficiency, and the possible merit factually, of Ms. Lindor's 9th affirmative defense, that the RIAA's $750-per-song-file damages theory was unconstitutional. 2006 WL 3335048. More recently the RIAA successfully moved to strike Ms. Lindor's 4th affirmative defense, of copyright misuse, predicated on the competitors' copyright-pooling agreement under which they present a united front in enforcement of their copyrights. Judge Trager dismissed that defense for illegal insufficiency. The RIAA has a practice of making motions routinely, in all cases, to dismiss any and all counterclaims which are interposed; if it cannot find a substantive basis for much a motion, it will seek to strike it on technical grounds, such as redundancy. Since motions to strike for redundancy are disfavored in modern federal practice, these motions have met with mixed success. A great flurry of litigation is going on now over counterclaims, since every new contested case we have seen interposes counterclaims and the RIAA is reflexively moving now to dismiss each and every one of them. If a defendant counterclaims for attorneys fees, the RIAA will move to dismiss such a counterclaim, arguing that it is redundant since a successful defendant does not need to have interposed a counterclaim in order to collect attorneys fees. It has made a motion to dismiss a counterclaim for attorneys fees in a Georgia case, Priority v. Beers, and plans to make motions to strike the counterclaim in Elektra v. Schwartz, Elektra v. Torres, and Maverick v. Chowdhury, all in Brooklyn. A similar motion by the RIAA in Oregon in 2005, in Elektra v. Perez, was denied. The RIAA has not been able to cite any legal authority for its argument. The RIAA also moves to strike counterclaims for a declaratory judgment of non-infringement, arguing that they are redundant because a judgment dismissing the plaintiffs' case would imply non-infringement. Such motions were denied in UMG v. Del Cid in Tampa, Florida, and in Capitol v. Foster and Warner v. Stubbs in Oklahoma, tabled until after discovery in Atlantic v. Shutovsky in Manhattan, and granted in Interscope v. Duty in Arizona, Atlantic v. DeMassi in Houston, Texas, Interscope v. Kimmel in Binghamton, New York, and Lava v. Amurao in White Plains, New York. The Electronic Frontier Foundation had submitted an amicus curiae brief, in opposition to the RIAA's motion, in Amurao. The issue was also before the Court in SONY v. Crain in Beaumont, Texas, where the defendant -- an elderly Hurricane Rita survivor who never engaged in any file sharing, and who is defended by Legal Aid -- interposed a counterclaim for a declaratory judgment, and the RIAA moved to strike it. Ms. Crain's attorneys have pointed out to the judge that (a) the RIAA's similar motion, made in Capitol v. Foster, was denied, (b) the RIAA has no legal authority for its position, and (c) it is necessary to have the counterclaim because of the RIAA's practice of discontinuing the cases before trial, thereby depriving a defendant of the right to be vindicated on the merits. The RIAA ultimately withdrew its monetary claims against defendant, before motions were determined. Similar motions are being litigated in Atlantic v. Boggs in Corpus Christi, Texas, and Arista v. Finkelstein in Brooklyn, New York, and elsewhere. The decision in Warner v. Stubbs, in Oklahoma, is pivotal, and should be cited by practitioners representing defendants on this issue. The defendant there interposed a declaratory judgment counterclaim, specifically reciting in the counterclaim that a reason for its necessity was plaintiffs' tendency to bring frivolous case and then withdraw them leaving defendant with no opportunity for a day in court. As if on cue, the RIAA moved to dismiss its own case and the counterclaim. The court dismissed the RIAA's case, but declined to dismiss the counterclaim, since it had an independent jurisdictional basis. All practitioners representing innocent defendants should take heed of Stubbs and be careful to interpose a counterclaim for declaratory judgment fashioned along the lines of the Stubbs counterclaim. However, in a rather strange postscript, the RIAA then unilaterally 'covenanted not to sue' Ms. Stubbs, and the Judge treated that as removing the "case or controversy" element from the case, and dismissed the counterclaim at that point. In Atlantic v. Andersen, in Oregon, a number of counterclaims for tortious conduct under Oregon law, including violations of computer privacy, and Oregon RICO, have been interposed, and their sufficiency is presently being litigated. Similar counterclaims for trespass, invasion of privacy, etc., are being litigated in Priority v. Beer in Columbus, Georgia. In Elektra v. Santangelo II, in White Plains, New York, a counterclaim has been interposed for breach of the duty to warn, which the RIAA has of course moved to dismiss. In Lava v. Amurao, in White Plains, NY, Atlantic v. Shutovsky in Manhattan, Atlantic v. DeMassi in Houston, Texas, UMG v. Del Cid in Tampa, Florida, and Interscope v. Kimmel in Binghamton, New York, "copyright misuse" was interposed as a counterclaim, alleging that the plaintiff record companies are "competitors in the business of recorded music.....[and] are a cartel acting collusively in violation of the antitrust laws and public policy, by litigating and settling all cases similar to this one together, and by entering into an unlawful agreement among themselves to prosecute and to dispose of all cases in an identical manner and through common lawyers..... Such actions represent an attempt....to secure for themselves rights far exceeding those provided by copyright laws......Such acts constitute misuse of copyrights, and lead to a forfeiture of the exclusive rights.....". The RIAA's motions to dismiss the copyright misuse counterclaims were denied in Amurao and Shutovsky, and granted in DeMassi, Kimmel, and Del Cid. Written decisions were handed down in Kimmel and Del Cid, but not in the others. In Del Cid the Court denied so much of the RIAA's motion as sought to dismiss other counterclaims, such as claims for deceptive business practices, trespass to personal property, violation of the Computer Fraud & Abuse Act, and conspiracy to commit extortion, employ unlicensed investigators, and make unauthorized inspection of defendant's computer's contents. The Court rejected the RIAA's Noerr Pennington argument across the board, since N-P is inapplicable to "sham litigations". A new case has arisen regarding the same counterclaims, plus a new one (abuse of process), Atlantic v. Boyer. The case is in the same court, and has been assigned to the same judge, so a motion to dismiss the counterclaims is unlikely. In Maverick v. Chowdhury and Elektra v. Torres, both in Brooklyn, copyright misuse counterclaims, and an antitrust claim -- based upon collusive settlement negotiation practices -- have been interposed, and the RIAA has moved to dismiss them. In South Carolina, in Atlantic v. Njuguna, the RIAA has moved to dismiss Ms. Njuguna's counterclaims for (a) negligence and (b) deceptive trade practices under South Carolina's Unfair Trade Practices Act, along with her counterclaim for declaratory judgment of noninfringement. An expansive copyright misuse counterclaim was pleaded in a Tennessee case, where the defendant, a 33 year old Army Sergeant, alleged that the RIAA deliberately padded its court filings with material calculated to "shame" defendant into accepting the RIAA's settlement demand. A number of counterclaims are now being interposed based on the RIAA's use of unlicensed investigators. See, e.g., SONY v. Crain in Beaumont, TX, Priority v. Beer in Columbus, GA, and UMG v. Del Cid above. The RIAA has been raising the Noerr Pennington doctrine in its motions to dismiss counterclaims. The only decision of which we are aware which even mentioned the RIAA's assertion of that defense was UMG v. Del Cid, above, where the Court explicitly rejected the defense as being inapplicable to "sham ligitation". As soon as it is able to do so, in a litigation, the RIAA routinely serves a number of pretrial discovery requests, calling for examination of the hard drive and numerous other items. If their first round of discovery does not turn up any evidence of copyright infringement, they will seek to depose family members, and others who may have had access to defendant's internet access account. If the hard drive yields no evidence of copyright infringement they will claim that there has been spoliation, or that the defendant switched hard drives. *Any defendant who has interposed the defense of the unconstitutionality of the RIAA's damages theory, based on the disproportionality of the damages sought in relation to the record companies' actual damages, needs to get discovery into (a) the lost revenues per authorized download and (b) the expenses that would have been incurred in connection with authorized downloads, including the (i) publisher's, (ii) artist's, and (iii) producer's royalties. In UMG v. Lindor Magistrate Judge Levy ordered discovery on both the revenues and the expenses. The revenues were provided under a stipulation. As to the expense information, where defendant was forced to make a motion to compel, the judge ruled that such discovery was "reasonably calculated to lead to the discovery of admissible evidence" and ordered the RIAA to produce information about the expenses, and authorized defendant to take telephone depositions of the plaintiffs. *Plaintiffs will try to avoid producing discovery on their damages, and will offer to stipulate to be precluded from proving their actual damages at trial. Do NOT fall into that trap and accept any such stipulation. Without discovery into plaintiff's actual damages, a defendant's lawyer will be hard pressed to place before a jury, in admissible form, evidence to establish the disproportionality of the RIAA's damages theory. The importance of this issue was underscored by the Capitol v. Thomas trial where the RIAA sought $750 to $150,000 per song file, and were awarded $9250, or 23,000 times the actual damage, per file. The defendant's lawyer, not having had discovery on this issue, would have had no way to show the jurors the fact that the actual lost profit per song file was in the neighborhood of 40 cents (as compared to $9250). *The judge in Atlantic v. Shutovsky held that defendant is entitled to discovery on this issue. The Magistrate in UMG v. Lindor held that the defendant is not entitled to discovery on this issue. Ms. Lindor has asked the Magistrate to revisit that issue. *In view of failure to set forth actual damages in response to interrogatory, plaintiffs precluded from introducing evidence of damages. (UMG v. Lindor). However, this preclusion is of little value to defendant's lawyers who want to establish the disproportionality of the RIAA's statutory damages theory ($750 to $150,000 per song file) to plaintiffs' actual damages (probably in the neighborhood of 35 cents per file or less). *Where RIAA hadn't produced expert witness report, discovery cutoff extended to 60 days after RIAA turns over expert's report to defendant. (UMG v. Lindor). In Capitol v. Foster, where the Court has ruled that defendant is entitled to her reasonable attorneys fees, the RIAA made the unusual request -- which the Court granted -- to be permitted discovery into the "reasonableness" of the defendant's attorneys fees. In doing so, however, they opened the door for the defendant to request plaintiffs' attorneys' billing records, which request the Court granted as well. The Court set a strict 60-day time limit on the "reasonableness" discovery, and declined several attempts by the RIAA to extend it. The Court granted the RIAA's request to keep its legal bills confidential, although it is unclear what legal basis, if any, there was for the request. An evidentiary hearing was conducted. *In UMG v. Lindor the RIAA served an extensive subpoena duces tecum on Verizon, the ISP in question, some 4 years after its first subpoena to Verizon. The new subpoena is quite broad and, in addition to logs and other ISP records, asks for copies of the defendant's emails, a request which in some cases would raise grave privacy concerns. In some cases where the RIAA discontinued the case, the defendant has sought attorneys fees. In Priority Records v. Chan and Elektra v. Perez the defendant's motion was denied. In Capitol Records v. Foster and Atlantic v. Andersen, the motion was granted. Ms. Foster was awarded $68,685.23. The initial amount sought was approximately $55,000, which quickly rose to $114,000 as a result of a frenetic round of litigation activity after the Court had indicated Ms. Foster would be awarded her reasonably attorneys fees. In an unusual move, the judge (a) allowed discovery on the reasonableness issue, and (b) conducted an actual full-day evidentiary hearing on the issue as well. The Court denied a "reconsideration" motion the RIAA had made, in a decision which reads like a treatise on the importance of attorneys fee awards to prevailing defendants in copyright infringement cases, and which reiterated the "untested and marginal" nature of the RIAA's claim, found the RIAA's motives in pressing it "questionable", labeled one of the RIAA's arguments "disingenuous", and found its statement of the facts to be "not true". The Court, in reducing the fee award, gave, among others, the following reasons: (a) the bills totalled the time for all activities in the day, rather than breaking out the time for each task, (b) defendant's attorney spent a great deal of time reviewing plaintiffs' attorneys billing records but did not make effective use of them at the hearing, and (c) the level of activity rose dramatically after the Court had determined that plaintiffs would be required to pay defendant's reasonable attorneys fees. In Atlantic v. Andersen, the Magistrate Judge has issued a 15-page report granting Ms. Andersen's motion for attorneys fees. The amount of the fees has not yet been set. The decision stated that "these plaintiffs.... should be deterred". A scenario similar to that in Priority v. Candy Chan occurred in Capitol v. Foster, in Oklahoma, where the RIAA withdrew only when faced with the mother's motion for summary judgment and attorneys fees. The judge let the RIAA drop its case, but held that the 'voluntary' withdrawal did not make the RIAA immune from legal fees, and indicated that he might award the mother her attorneys fees. Ultimately he did, awarding Ms. Foster $68,685.23. Ms. Foster's attorneys fee motion was supported by an amicus curiae brief submitted by the American Civil Liberties Union, the Electronic Frontier Foundation, the American Association of Law Libraries, Public Citizen, and the ACLU Foundation of Oklahoma. In their brief the 'friends of the court' told the judge that "the RIAA has wrought havoc in the lives of many innocent Americans" and that an award of attorneys fees is necessary to deter such conduct in the future. In another Oklahoma City case, Warner v. Stubbs, the defendant -- represented by the same lawyer who represented Debbie Foster -- filed an answer and counterclaim saying that the RIAA's tactics amounted to extortion. The very next day the RIAA moved to withdraw its case. The motion to dismiss without prejudice was granted. Immediately thereafter the RIAA tendered a unilateral "covenant not to sue" in an attempt to stave off a declaratory judgment -- on Ms. Stubbs's counterclaim -- of noninfringement. The judge agreed with the RIAA that the "covenant" was a sufficient basis for dismissing the counterclaim. The RIAA withdrew one of the most highly publicized of the RIAA v. Consumer cases, Elektra v. Santangelo, after two years of litigation, as it moved on to pursue two of Ms. Santangelo's children. The RIAA would have liked the dismissal to be "without prejudice", so that it would not be liable for attorneys fees. (See Capitol v. Foster July 13, 2006, Order). Ms. Santangelo, of course, did not agree with that approach; neither did Judge McMahon. She ruled that the RIAA must proceed to trial unless a stipulation of discontinuance with prejudice is filed by April 1st. The parties then stipulated to dismiss with prejudice, leaving open the question of Ms. Santangelo's entitlement to attorneys fees. Similarly, in Atlantic v. Andersen, after pursuing Tanya Andersen for about 2 years, the RIAA stipulated to dismiss its claims with prejudice, leaving open only Ms. Andersen's claim for attorneys fees, her various counterclaims, and her action against the RIAA for malicious prosecution. Voluntary discontinuances have taken place in Michigan in Warner v. Pidgeon and in Washington in Interscope v. Leadbetter. In Leadbetter the RIAA tried to discontinue against the defendant but add her fiance as a defendant; the Court denied permission to add the fiance as a defendant, dismissed the case in its entirety, and indicated that it would consider the imposition of attorneys fees against the RIAA in a separate motion. Ms. Leadbetter has brought on a motion for attorneys fees. In Elektra v. Dennis, in Jackson, MS, after receiving a motion to dismiss and/or for summary judgment, the RIAA cross moved to dismiss without prejudice. In Atlantic v. Andersen, Elektra v. Schwartz, and other cases, the RIAA has brought suit against disabled people, even knowing that they are disabled. In both Schwartz and Andersen the disabled defendants are people who have never downloaded songs or engaged in file sharing at all. In Elektra v. Schwartz, the defendant has severe Multiple Sclerosis, and gets around in an electric scooter. Her lawyer specifically asked the RIAA to drop the case; it declined. Thereafter a motion for appointment of a guardian ad litem was requested. Magistrate Levy granted Ms. Schwartz's motion, and appointed a guardian ad litem. The dismissal motion in Elektra v. Dennis in Mississippi was accompanied by an affidavit of the defendant and alternatively sought summary judgment. The RIAA withdrew its case, however. We are aware of one instance in which a Rule 68 offer of judgment was made, Capitol v. Frye, in North Carolina. There the RIAA accepted an offer of judgment for $300 plus a limited injunction..
Cases which are in litigation are under the aegis of a Magistrate Judge or District Court Judge, so it is always possible that the Court will become involved in the settlement process. In Maverick v. Goldshteyn, the Magistrate Judge, at the request of Ms. Goldshteyn, scheduled a settlement conference, at which the principals were required to attend, in person, and with settlement authority. However, at the actual conference, a single attorney representing the RIAA was accepted by the judge as an appropriate "principal" of all of the plaintiffs. A stipulation and order of settlement has been entered, and is available online. In Brooklyn, where all the cases are being treated as "related" and are being supervised by a single magistrate, the RIAA has sought to initiate a mass settlement conference. (See Elektra v. Torres, Elektra v. Schwartz, and Maverick v. Chowdhury. Dr. Jacobson appears to be a dual-purpose expert, claiming to be qualified in both forensic and internet issues. His deposition was taken in UMG v. Lindor on February 23, 2007, and the transcript and exhibits are available online, as is the transcript of the November 30th argument. The only case of which we are aware that has gone to trial is Virgin v. Thomas (renamed Capitol v. Thomas), in Duluth, Minnesota, which was tried October 2-4, 2007. However, a new trial has been ordered. In Thomas, the RIAA sought $750 to $150,000 per song file. After being instructed -- at the RIAA's request -- that plaintiffs had no obligation to prove any actual downloading or uploading, the jury found that defendant had wilfully infringed 24 recordings, and awarded $9250 each, for a total verdict of $222,000. A motion was made to set aside the verdict on the ground that the damages were unconstitutionally excessive. On May 15, 2008, the Court sua sponte indicated that it had independently discovered an alternative reason for setting the verdict aside, namely that its aforementioned jury instruction, adopting the RIAA's 'making available' theory, was a "manifest error of law". On September 24, 2008, the Court set the verdict aside, and ordered a new trial on that ground. However, the Court also implored Congress to ensure that large verdicts of that nature could not recur against non-commercial users, such as Ms. Thomas. We have posted a few documents relating to the Thomas case. Many additional documents relating to the trial may be found through PACER. The case is in the District of Minnesota, and the file number is Civ. No. 06-1497 (MJD/RLE). A bit of guidance as to the standards for trial has come down in UMG v. Lindor, in connection with a preclusion motion, where the Court held that "[a]t trial, plaintiffs will have the burden of proving by a preponderance of the evidence that defendant did indeed infringe plaintiff’s copyrights by convincing the fact-finder, based on the evidence plaintiffs have gathered, that defendant actually shared sound files belonging to plaintiffs." In Oregon, after the RIAA withdrew it claims against Tanya Andersen with prejudice, Ms.Andersen brought a malicious prosecution suit against the RIAA, the record company plaintiffs, Safenet (MediaSentry), and Settlement Support Center, LLC. She thereafter amended her complaint to convert it into a class action. The RIAA has moved to dismiss. * All referenced cases are available in "Index of Litigation Documents at http://info.riaalawsuits.us/documents.htm. ( All litigation documents referenced above are available online and may be accessed through http://info.riaalawsuits.us, "Index of Litigation Documents" at Recording Industry vs. The People (http://recordingindustryvspeople.blogspot.com)), or Table of Cases. Apparently thousands have been sued. A few have paid up, still fewer are fighting back. What is happening with still thousands we don't hear about? Are they just ignoring the riaa? Wht happens if one does just ignore it all..keeps throwing away the letters, etc...? Anecdotally, I can tell you that there are many default judgments entered and being entered. I.e. it appears to me that many people either have ignored the cases, or have not been served properly. The default judgments I have seen have been for $750 per recording, based on the short list rather than the long list. If one ignores a letter, there will likely be a lawsuit. If one ignores a lawsuit (i.e. a summons and complaint), there will likely be a default judgment. Also there appear to be a goodly number of settlements being entered into, in which defendants typically pay $3750 and enter into a one-sided settlement agreement. Also there may be contested cases going on which we haven't heard about... the RIAA isn't going to tell me about them. Thank you Mr. Beckerman for your reply. I really appreciate your taking that time for this. I've wondered something for some time now about the RIAA and I think this might be an appropriate place to raise the question. What exactly is the RIAA's overall strategy? I think by now the average person knows that what they do is sue people who they accuse of copyright infringement, but to what end? Is it simply to punish those who've committed a crime? The pot of gold at the end of the RIAA's rainbow is quite obviously the elimination or minimization of the piracy of copyrighted sound recordings, but how do they intend to achieve that goal? I've been able to think of only two possible answers to this question. 1) They intend to sue enough people for enough money per year to make up for the revenue the recording industry loses to illegal filesharing. 2) Their goal is to sue people and create awareness/fear among the general population in order to drive down the rate of filesharing. As far as I can tell, neither of these goals are likely to be met, since filesharing, to my knowledge, is still on the rise, and there is far too much of it to make up for what the industry may lose in a given year. Also, what happens to the money that the RIAA takes in through their law suits? Does it actually go into the pockets of the artists and record labels who are being hurt by filesharing, or is it simply used to pay the RIAA's surely gargantuan cost of operation so that they can continue to operate year after year? Sorry. I can't answer your questions. I don't think they've accomplished anything other than to enrich some lawyers, terrorize some children and housewives, and drive people to look for non-RIAA music. My guess is that, since they're not used to competing, once they realized there was a part of the music industry they couldn't control, they set about to try to control that part as well. And it is a part of their strategy to put their digital competitors out of business, and it is another part of their strategy to terrorize customers into being afraid to deal with anyone other than the major labels, so that they can control pricing as they could in the past. And they've got the Bush administration trying to help them do it. Do they typically sue every person who receives a letter? Do they go after people distributing large amounts of music or are one-time downloaders brought into the fray as well? Have you contacted any of the Board Members of the WhatsTheDownload.com (A website run by NARAS, the same team that puts on the Grammy Awards) Team? I have been in communication with a few of them, and they are working with NARAS to educate the music industry on the needs of consumers, in regards to this "Internet Music Crisis" we have had over the last 6 years. Many on the board agree that P2P file sharing needs to be completly reevaluated and this campaign the RIAA is running is not really a long term solution to the problem. I agree with them, and we need to address the problem of getting artists paid for P2P. 1) What is the liability for roommates sharing a connection, if the roommate sharing the files was not the person paying the bill for internet access? 2) What is the liability of operators of open wireless networks in terms of copyright infringement of anonymus users? 3) Does the RIAA have any forensic evidence tying the person alleged to the actual crime of copyright infringment, or is all they have circumstantial evidence from an automated "spy bot" like MediaSentry? 4) What does the RIAA do if someone has no money to settle, and no assets (after all they are suing many college students)? If they accept default judgement, does it ruin their credit for many years to come if the person owns nothing, and makes not enough money to pay it? Does RIAA accept partial payment plans over time? 5) What would you change if you were one of the RIAA's lawyers to make the campaign more fair to consumers? 1. I have no way of knowing but I have the impression that they do sue every person who receives the letter and doesn't settle. 2. They don't know of anyone distributing anything or downloading anything. My impression is that they are going after people who have paid for an internet access account, which an ISP has linked to a screen shot of titles which may exist in a shared files folder accessible through Kazaa, Imesh,Limewire, Gnutella, etc. I.e. people who've never downloaded a song in their life are being sued. 3. No I haven't contacted the people Stephen is talking about. 4. There are many legal issues that need to be hashed out -- but our system depends on ADVERSARIAL litigations. If people settle and don't fight back these issues will never be resolved. 5. The RIAA should stop suing people unless (a) they have evidence that the people have in fact made unlawful copies, and (b) the people refuse to enter into a cease and desist agreement. Being a Canadian, we don't have to worry about going through this process for the time being. We have opted to keep downloads legal and privicy intact. I would like to see other countries adopt something similiar. Why cause someone to go bankrupt for obtaining a song they enjoy. Even if you think that our laws are too slack on downloaders, there should be another way of handling the situation. By the way... I posted a link to this blog entry so my readers could also take a look at the process and decide for themselves if it is truly worth downloading protected files. Emphasis on the words "for the time being". Don't think for a minute that they aren't planning to resume their reign of terror on Canadian soil. They're just trying to figure out the answer to the BMG v. Does ruling before they come back at you. The rulings in the US in Atlantic v. Does 1-25, Motown v. Does 1-99, and Warner v. Does 1-149 will go a long way towards either building up, or knocking down, their next assault on the people of Canada, depending on how the courts come out. I think you need to supeona the evidence RIAA has about someone, and ask for it. I would also supeona someone from MediaSentry who "indentifies internet users", and ask them questions at a hearing about how they can guarante the person they alleged is actually in front of the computer in question, and how they can prove that a work actually was downloaded. I predict if this were in front of a jury, they would have doubts on this. Consumers can begin adversarial actions if they were replenishing their old music collections. How can the RIAA penalize them for wanting to digitize their old tapes / LPs / 8-tracks and lacking the equipment to do so other than P2P sharing? Would be really bad for the RIAA if the defendant appears in court with the work in its original format. MediaSentry doesn't use spybots. they log onto kazaa, morpheus, limewire etc. just like any other user and search for people sharing music. They check the shared files folder for copyright protected music and make screenshots (the "long list") and then they actually download a handful of the songs, ususally 6-12 (the "short list"). that becomes the evidence that the user is distributing the songs which obviously violates title 17 of the us code. oh yea and the riaa isn't the one doing the suing, it's the actual record companies. drizznay said..."...the riaa isn't the one doing the suing, it's the actual record companies." Can't agree with you there, drizznay. The RIAA controls the litigations, even sends its representatives to important court appearances. "They are also aware that under the Federal Rules of Civil Procedure there is no basis for joining all these defendants in a single lawsuit, but do indeed join them in one case, sometimes as many as several hundred in a single "litigation"." The plaintiff was denied a summary judgement based on the lack of sufficient facts and the ability to link the IP address to the user. She acknowledging that she was the only person with access to the computer and that she did not use a wireless router or wireless service, but the motion was still denied. Because she had returned her cable modem and otherwise no longer had the computer the court ruled “Plaintiff's have no credible evidence that proves Defendant Theresa DePietro or Defendants computer to be the perpetrator of the alleged copyright infringement complaints outlined in this case.” The defendent's expert gave several reasons why the user may not be the same user as the one at the IP address at the time of the infingement. In addition to what was in the article, another interesting point in this case is that the court suggests that Kazaa's automatic upload feature which causes users to unknowingly make files available for upload may be a valid defense. This is an interesting case all around. Doe #7 makes motions to quash the subpoena served to a group of NYU students on a first amendment basis. He argues that anonymous speech is protected. The court cites Judge Denny Chin in Sony Music Ent. v. Does 1-40, 326 F. Supp. 2d 556. Judge Chin recoginizes that first amendment rights do protect anonymous speech on the internet, but do not extend to copyright infringement. Doe #7 also argues successfully to have his case severed from the rest of the Does based on the fact that his case does not occur in the same transation as the others. 1. I'm unfamiliar with Motown v. DePietro. Where did you hear about that? Do you have a citation or the docket number? 2. You're wrong about Elektra v. Does; Judge Chin did not hold that the first amendment doesn't apply to copyright infringement. Never mind, Michael. I found the case. Thanks for bringing it to my attention. Michael's interpretation of the DePietro decision is wrong. He was quoting from Ms. DePietro's argument, not from the decision. In fact the decision should be quite distressing to us good guys. I am not a lawyer. On the other hand, I do know a little bit of how the current system of laws came about. And when I read the "Ex parte" section, the first thing that screamed out loud in my brain was "Star Chamber!" - an infamous method the British monarchy etc used at one stage in the constitutional history of the United Kingdom, where accusations could be brought against a person and they be tried, without ever having the chance to defend themselves. Keep it up, Ray - you're in the first line of defense in the fight against privatized injustice. I'm a college student on full financial aid and they are after me for 4,000. I live off campus so I do not have the University as an intermediary. What can I do? Dear Anonymous, you need to consult with an attorney in your area. Look at our "Directory of Defense Lawyers" and at the Electronic Frontier Foundation's "Subpoena Defense" Page. I've read that in the pre-ligitation stage, when the RIAA offers a settlement letter that is forwarded to a student through their university, it's the standard $3,000 amount to avoid being sued. 1) So they don't take into account the different cases (someone who downloaded 250 songs versus someone who downloaded 2,500 songs)? 2) Supposing they do pay the settlement ammount, I've heard that they're not out of the clear in being served with another lawsuit down the road by other record companies not represented by the RIAA. So, basically, whoever's downloaded can get hounded years later, and this could start all over again? If that's the case, what's the incentive to settling? Thanks for the informative blog, btw. RIAA through its high priced attorneys are using intimidation, scare tactics and bullying. Isn't this the equivalent of "TERRORISM?" If not, what is the reason? If so, I believe that terrorism is a crime in the U.S.
As an assistant public defender who fights the "system" everyday what I want to say to you is THANK YOU! It is attorneys like you that helps keep my faith in the judicial system alive. Keep up the good work. What I'm curious about is the money. Where is the money for this litigation coming from? It would seem to me that in this age when record profits are declining this ridiculous expense of these lawsuits is just plain stupid. I know that the lawyers for the RIAA are raking it in, but at what point does the record industry wake up and realize that they are chasing a rabbit down a hole? Lastly, I have a lot of friends overseas who download from P2P, are they at risk of being sued or is it just here in the US that the RIAA does its evil? Where's the money coming from? That's easy. The pockets of the shareholders. Thanks for this blog, and for putting the time into organizing all this information. My question is, how is any of this process... legal? I am from the USA, and when I look at how the RIAA does things, my first thought is "what judge in his right mind would deem any of this fair?" I have to say, I do believe the RIAA has some right for compensation for illegally downloaded materials, but the amount that they sue for and the way that they go about doing it ... I can't comprehend how it can get through the legal system time and time again. Is there some other, more fundamental problem here? Uninformed/apathetic courts not really understanding what they're doing by letting the RIAA go after people like this again and again? It's one thing for the RIAA to want to go after people this way, but it seems to me that the root issue is not the RIAA's proceedings, but rather, that the legal system lets it work this way in the first place. I don't understand it. Absolutely unbelievable. Thanks for taking the time to put together all this information. 1. Has anyone been able to estimate how many of the defendants are falsely accused? 2. Approximately how often does the RIAA lose the cases it brings? 1. I would estimate that more than half of the cases are against defendants who are entirely innocent. 2. I am not aware of the RIAA ever having won a fully contested case. I've been following your updates for some time and have just looked through the details you provide on RIAA tactics - very interesting thanks. I wonder if you've seen any changes in the RIAA approach since the change in Administration there in the U.S, or is it business as usual? Last.fm turning over user information to RIAA? Eric Goldman's "Technology & Marketing Blog"
RIAA says it is in favor of "Freedom of Speech"